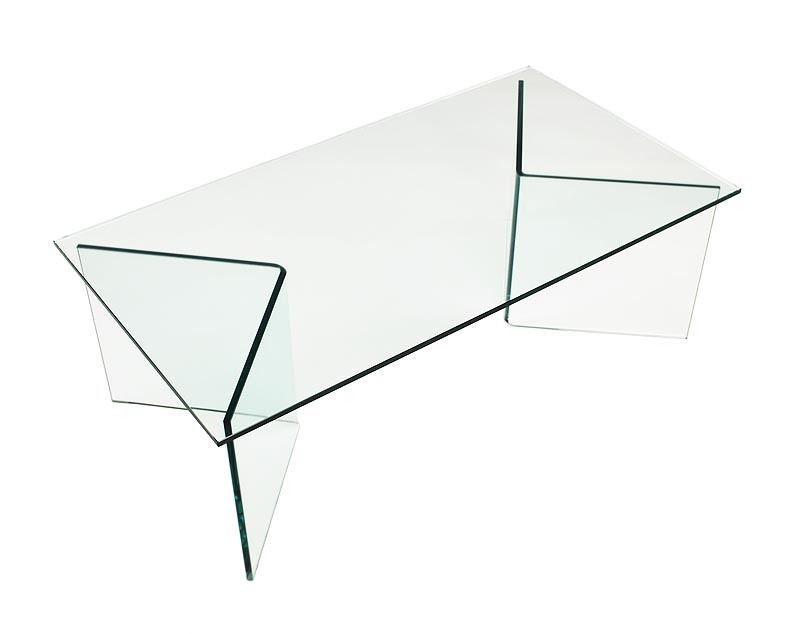 Glass topped coffee table resting on corner shaped glass bases for a clean and minimal look. The bases can be flexibly arranged and support different sizes of coffee table or end table tops. The glass is half inch (12mm) thick with polished edges, and each base is a single piece of glass curved to a 90 degree angle. Two bases are included.